Is it time for you to make the mark-to-market election? If the markets reach a tipping point and crash, how will you be affected? The tax implications will depend on whether you're an investor or a trader who has made a mark-to-market election under Section 475 of the Internal Revenue Code. Traders who seek treatment under Section 475 can gain advantages in a down market, and here's why. The Dow Industrial Average is on an unprecedented rally, exceeding 22,000 and continuing for more than eight years. But the simple truth is that bull market streaks always come to an end. The extended low-interest rate policy and quantitative easing program set by the Fed have assisted the climb of the market indices, but authorities are now debating how to end these programs and normalize economic policy. Looking forward, both investors and traders need to employ the best investment and tax strategies to maximize gains and minimize the damage from the impending bear market. Whether you’re defined as an investor or a trader by the IRS, it’s critical to use advanced tax planning and good record-keeping. Investors are defined as individuals who seek to profit from capital appreciation, dividends, and interest. When they hold assets longer than a year and a day are rewarded with preferential tax rates (generally 15%-23.6%). Otherwise, the gain is taxed at the ordinary rate (as high as 39.6%). Excess losses can be used against ordinary income from other business activities, limited to only $3,000 per year; the remainder is carried forward. Investment expenses incurred, such as trading programs, software, and conferences are limited to an amount that exceeds 2% of adjusted gross income and are not deductible at all for alternative minimum tax purposes. In a volatile or bear market, managing losses can be tricky for the investor. Under Sec. 1901, losses are further limited: the investor’s repurchase of a security that would otherwise be reported as a loss within 30 days of sale (a “wash sale”) is disallowed and added to the basis of the security, which will only be allowed upon ultimate disposition of said security. Trader status is less clearly defined, but court decisions offer some guidance. Traders are individuals who seek to profit from daily market movements; their activity must be substantial; and it must occur with continuity and regularity. The trader treats the buying and selling of securities as if carrying on a business activity. Here’s where traders can tip the scales in their favor: individuals who qualify as traders may make a Sec. 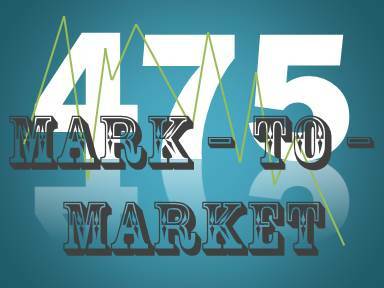 475 mark-to-market election. The timing is important to understand: the election must be filed by April 15 with the preceding year’s tax return or extension (e.g., to be effective for 2017, a statement must have been filed with your 2016 tax return or extension by April 15, 2017). Relief is technically available for late elections, but taxpayers are not frequently successful in receiving that relief. Form 3115 should be filed with the 2017 tax return to change accounting methods. Keep in mind, though, that traders report all gains and losses as ordinary income or loss, so there is the potential for an increase in rate on those gains from the preferential tax rates previously mentioned. If you engage in short-term trading and qualify for trader status, you can take advantage of some significant tax treatments. Don’t forget traders can have it both ways and take advantage of the investor’s preferential long-term capital gains rates on securities in held-for-investment accounts, but proper records must be kept. A trader who seeks this benefit must separate the respective brokerage activities into different accounts. Contemporaneous records should document how the trader intends to treat each security at the time of purchase. The analysis and interpretation of IRS rulings and court decisions is critical in helping taxpayers decide if their activities will qualify for trader status. Before making the Sec. 475 election, talk to a CPA.